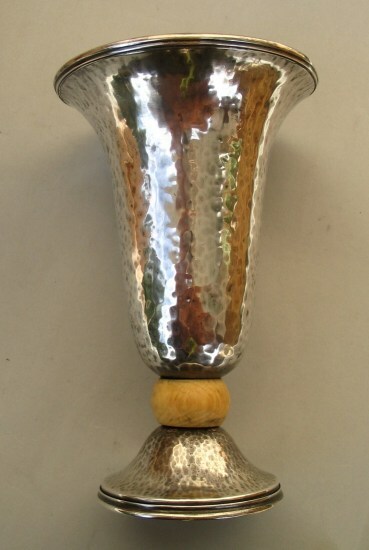 this is an Art Deco silver vase manufactured in Italy around 1930. 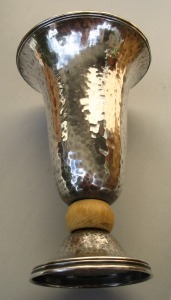 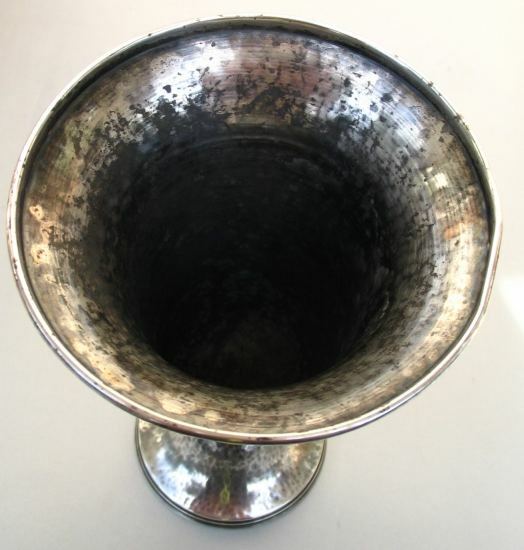 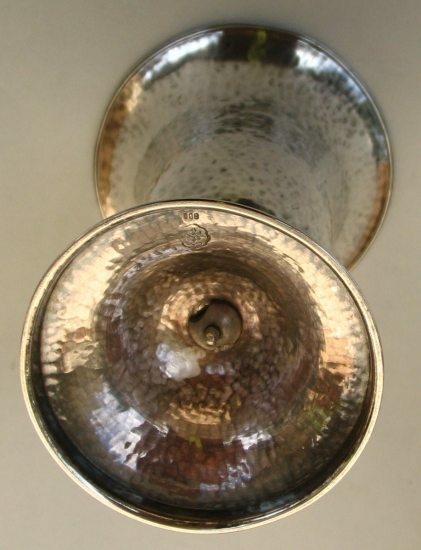 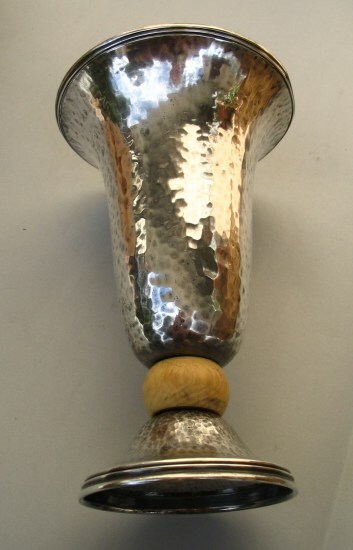 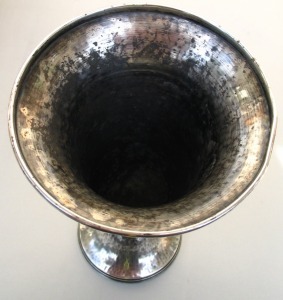 It has trumpet shape and hand hammered body with an ivory ring on its base. 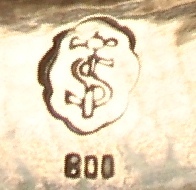 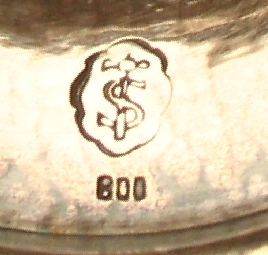 The vase has '800' hallmark (silver purity degree 800/1000) and silversmith's hallmark (an S intertwined to a hammer). 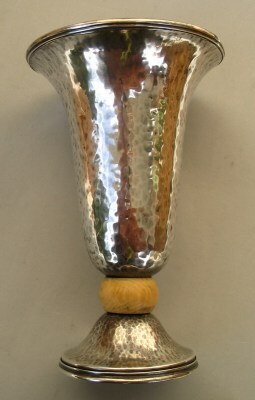 It is 6 in. 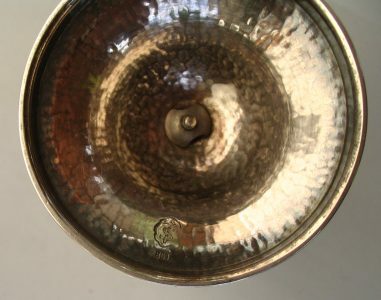 high (cm. 15) and was bought from an Italian dealer through the Internet.